Before they could blink their eyes or twitch their noses, Molly, Elsie, and Olivia somehow become eligible for AARP. But they can't fly off to Boca Raton just yet. First they must give up their magic, recruit and train three new witches, and pass on their cherished spell book. I love witches and magic, so any book that features witches is one that I am sure to love. I love everything about witches. Something about their history and the fact of the unknown of magic, draws me in every single time. The things that make me think about witches are brewing spells around a cauldron, a witch's hat, a familiar and and a finely attuned sense of nature and magic. Since I can remember I have loved books about witches and magic and if you combine that with my love of cozy mysteries, well it's like a triple threat. These authors have to be some of my favorite cozy mystery writers. I have met them in person, they are so sweet and approachable, yet they write a fantastic mystery. I find myself being drawn over and over to all of their books and simply cannot get enough of their writing style. This book was a blast to read. I loved the characters and the setting. I am very familiar with the Wilmington area having just spent some vacation time there this summer and it was nice to see some familiar locations popping up in this book. I also liked how the authors spun the whole witch thing in this book. This book doesn't focus on witches creating spells and using magic in their everyday lives. The witches in this book have reached their golden days and their magic is waning. They want to retire and pass on their magical legacies, but they have to find witches that are deemed worthy of them. It was a nice and unique spin on witches that was pleasant to read about. Molly, Elsie and Olivia have been friends since forever, practicing magic and working at their shop, Smuggler's Arcane for years. Olivia is suddenly murdered, and Elise and Molly are shocked beyond belief that they have lost someone so close to them. They are determined to discover their friend's murderer at any costs. Unfortunately, the meddlesome Witches' Council doesn't seem all that interested in helping, yet they seem to want to impede their investigation. If you are looking for something a little different and unique, yet utterly entertaining, then please do not pass this one up. 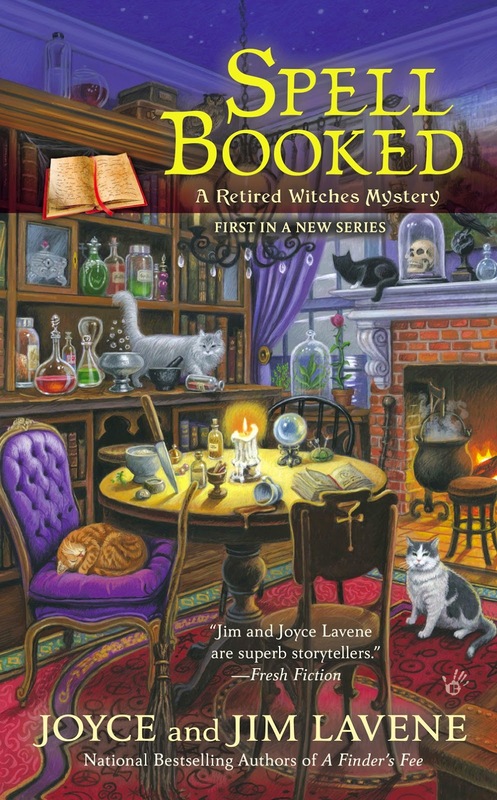 Joyce and Jim Lavene write bestselling mystery fiction. They have written and published more than 60 novels for Harlequin, Berkley, and Charter Books along with hundreds of non-fiction articles for national and regional publications. They live in rural North Carolina with their family, Quincy, their black cat, Stan Lee their tabby and their rescue dog, Rudi. 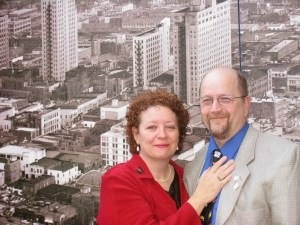 You can visit them at their website www.joyceandjimlavene.com. 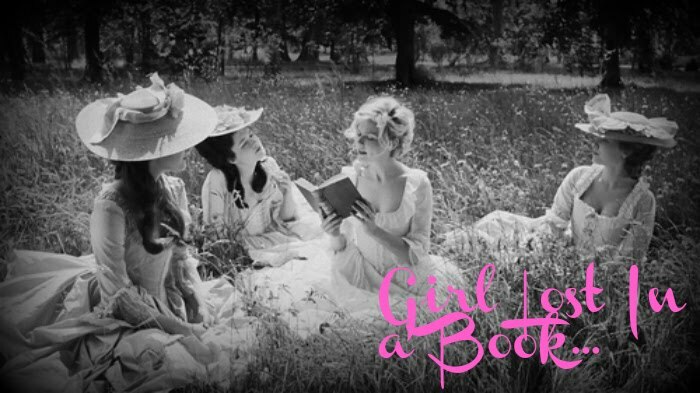 This has been a stop on the Spell Booked Blog Tour hosted by Great Escapes Virtual Book Tours. Make sure that you make a stop on all the tour sites as the authors have a very special giveaway. They are giving away a handwritten grimoire of spells, a print copy of Spell Booked, a willow wand, and a velvet bag to carry it in. Every stop will have some clue words in each post that can be put together they make a Witch’s Spell. To enter the giveaway readers will have to collect all the words and put them all together on the giveaway entry form after the last stop. Good Luck everyone!! Disclaimer: This book was given to me by the publisher, through Great Escapes Virtual Book Tours, in exchange for my honest review. I reviewed this book without compensation of any kind. All thoughts and opinions are solely mine. Thanks for hosting us here on the blog tour today! I can't wait to read this new book, I love witches and hope that it will be a long running series!!! I've enjoyed so many of your series and always look forward to all the new books that your creative minds bring forth. Congrats to the new book. While I have not had a chance to read as many of their books as I would like, I have been buying them whenever I can. I am a huge witch fan and look forward to reading this as part of at least one book challenge for 2015.